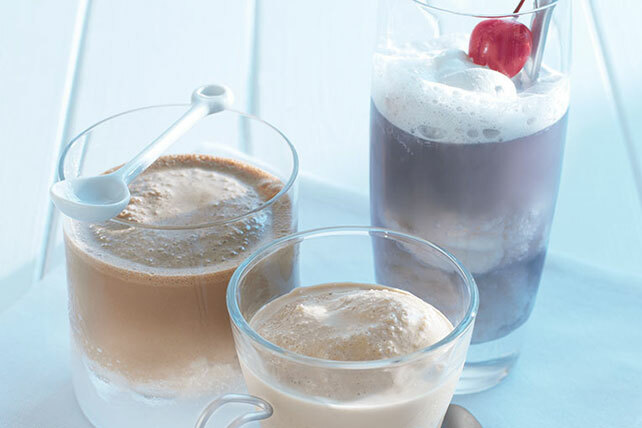 Try something different with our Coffee and Ice Cream Float recipe. Our Coffee and Ice Cream Float is a decadent beverage that is almost a dessert. Pour coffee into large cup or mug. Top with ice cream. Serve immediately. Substitute your favorite frozen yogurt flavor for the ice cream. Use iced coffee for a cool version!